You can learn about other types of uroliths in this article. 3.0 Bladder Crystals and Stones vs.
See section 5.0 below for dietary recommendations. The big culprit is diet…Well, as you read above a small percentage of our companion animals do have a metabolic genetic predisposition which can cause the formation of stones. But, for the most part the greater percentage of companion animals fall victim to the development of stones due to the modern day commercial pet food diet. The stones are from due to acquired issues rather than because of genetic issues. Even those companion animals that acquire stones as a secondary condition from an illness (such as Cushing’s disease, a condition in which the pituitary gland releases excess adrenocorticotropic hormone – ACTH) may still fall into the category of acquired rather than genetic predisposition as the triggering secondary diseases are often caused by inappropriate diet. Many of the commercial dog and cat food, dog and cat food, treatsand dental chew are grain-based, meaning that these products don’t just contain a little grain, instead the bulk of the product IS grain. Some of these products also contain refined sugars – which are also inflammatory. Is not an assurance of safety or quality as the terms – nutritionally complete, species appropriate, all natural, wholesome; are completely unregulated and therefore have no legal and binding meaning. The manufacturer can and in many cases does use these terms despite the fact that the food may contain multiple toxins, carcinogens and is not nutritionally complete, wholesome or all natural. To label dry food as species appropriate defies objective logic. I have reviewed many dry foods from around the world and have not seen one dry food that could claim to be nutritionally complete. A good example of the failure to be nutritionally complete can be seen by analyzing the ratio of Omega-3 to Omega-6 fatty acids provided by dry food products. To be nutritionally complete in respect to delivering the right balance of Omega 3 to 6 fatty acids a food would have to provide 2 parts Omega-3 to every 1 part omega-6. 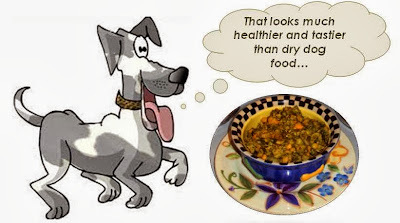 Check the dry food you are currently feeding your dog or cat – I guarantee the Omega balance is out. Another popular and very misleading term used on product advertising and promotion is the word ‘probiotics’. Processed dry food products are not capable of providing viable *probiotics. The pet-food industry as pertains to dry food is scamming pet owners. 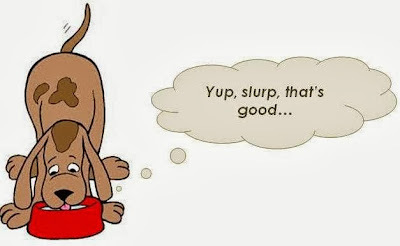 You can read here to understand more about probiotics and why it is impossible for dry food to contain viable probiotics. Don’t depend on AAFCO (a non-governmental organization consisting of animal feed lobyists and manufacturers), or on the FDA, Health Canada, etc. as all of these organizations permit many toxins (for example read here), carcinogens and other inappropriate food-stuffs to be included in dog and cat food and health are products (for example read here). Threatening?A little further below are several of the most popular veterinarian prescribed dry dog foods for dogs with urinary and renal tract issues including bladder and kidney stones. Each manufacturer’s product also has a version for cats. These products are expensive and are only available for purchase through a veterinary practice (office, hospital). Although the pet food companies that make these veterinarian prescribed foods claim that these foods will help your dog or cat – these foods (examples below) can actually make your animal’s condition worse. These foods would not be good for a healthy dog or cat, let alone a dog or cat with serious health issues. These foods are inflammatory, packed with toxins and carcinogens and sparse on nutrition. They are also very low in protein. 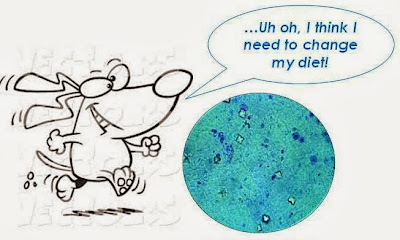 Having read the preceding section of this article you have seen that most uroliths (stones) do not require a meat protein restricted diet – instead the diet may simply require that certain types of meat protein be minimized while other types remain at a normal intake level. Whole Grain Corn (this is GMO corn – causes the growth of tumors, high in pesticide residue, endocrine disrupting, serotonin suppressor, immune system suppressor, known carcinogen and additional health destructors, it is very low in nutritional value and is a very inexpensive bulk filler), Pork Fat (preserved with mixed tocopherols and citric acid) can be from D4 sources (dead, diseased, dying and disabled animals), rancid fat and highly questionable quality as it is usually from the end production of restaurants and human food processing. Source of mixed tocopherols is usually GMO high pesticide residue oils, Chicken By-Product Meal by-product is beaks, claws, legs and any other part of the chicken that cannot be used in human-grade food, so it is used in pet food instead), Soybean Meal, (this is GMO soy – high in pesticide residue, endocrine disrupting, known carcinogen and additional health destructors), Corn Gluten Meal(from GMO corn), Soybean Mill Run (again GMO soy), Chicken Liver Flavor (artificial flavour – contains toxins), Lactic Acid, Calcium Sulfate, Soybean Oil, Flaxseed, Iodized Salt (stone enabling for some types of stones, meant to increase fluid consumption by making dog thirsty for other types of stones), L-Lysine, Choline Chloride, Dicalcium Phosphate, vitamins (L-Ascorbyl-2-Polyphosphate (source of vitamin C), Vitamin E Supplement, Niacin, Thiamine Mononitrate, Vitamin A Supplement, Calcium Pantothenate, Biotin, Vitamin B12 Supplement, Pyridoxine Hydrochloride, Riboflavin, Folic Acid, Vitamin D3 Supplement), Vitamin E Supplement, Taurine, Potassium Chloride, minerals (Ferrous Sulfate, Zinc Oxide, Copper Sulfate, Manganous Oxide, Calcium Iodate, Sodium Selenite), preserved with Mixed Tocopherols & Citric Acid, Phosphoric Acid, Beta-Carotene, Rosemary Extract. Carbohydrate 47. % – critically high and from very poor source. Fat 19.5% – the breakdown of Omega-3 to Omega-6 fatty acids is undisclosed, which indicates that it is far off the correct balance. Brewers Rice(a by-product left-over from the processing of rice for human consumption – it is very low in nutritional value and is a very inexpensive bulk filler),Corn(this is GMO corn – causes the growth of tumours, high in pesticide residue, endocrine disrupting, serotonin suppressor, immune system suppressor, known carcinogen and additional health destructors, it is very low in nutritional value and is a very inexpensive bulk filler), chicken fat, chicken meal, natural flavors, Dried Egg Product (comes the waste product from egg grading facilities, egg breaking facilities, and hatcheries, dried egg product is the egg waste that has been turned into a dry powder product. It is found in low-grade dog food),Corn Gluten Meal(from GMO corn), salt (stone enabling for some types of stones, meant to increase fluid consumption by making dog thirsty for other types of stones) , Powdered Cellulose(an inexpensive filler made from wood pulp, it increases the column of the food but has no nutritional value and can be contaminated with toxins. The pet food manufacturer can save up to 30% of the cost of using better ingredients by using powdered cellulose), potassium chloride, fish oil, calcium carbonate, potassium phosphate, calcium sulfate, taurine, choline chloride, vitamins [DL-alpha tocopherol acetate (source of vitamin E), biotin, D-calcium pantothenate, pyridoxine hydrochloride (vitamin B6), vitamin A acetate, niacin supplement, thiamine mononitrate (vitamin B1), riboflavin supplement (vitamin B2), folic acid, vitamin B12 supplement, vitamin D3 supplement], marigold extract (Tagetes erecta L.), trace minerals [zinc oxide, ferrous sulfate, zinc proteinate, manganese proteinate, copper sulfate, manganous oxide, copper proteinate, calcium iodate, sodium selenite], rosemary extract, preserved with natural mixed tocopherols and citric acid. Carbohydrate– the manufacturer doesn’t even list the percentage of carbohydrates – however they are poor source critically high. Ground Yellow Corn(this is GMO corn – causes the growth of tumours, high in pesticide residue, endocrine disrupting, serotonin suppressor, immune system suppressor, known carcinogen and additional health destructors, it is very low in nutritional value and is a very inexpensive bulk filler),Brewers Rice(a by-product left-over from the processing of rice for human consumption – it is very low in nutritional value and is a very inexpensive bulk filler), egg product (Is not the same as ‘egg’. Egg Product comes the waste product from egg grading facilities, egg breaking facilities, and hatcheries, dried egg product is the egg waste that has been turned into a dry powder product. It is found in low-grade dog food) ,beef tallow preserved with mixed tocopherols (source of Vitamin E) can be from D4 sources (dead, diseased, dying and disabled animals), rancid fat and highly questionable quality as it is usually from the end production of restaurants and human food processing. Source of mixed tocopherols is usually GMO high pesticide residue oils, sugar (stone enhancing inflammatory,increases Omega-6 levelswhich in the absence of enough Omega-3 causes inflammation of brain cells, low serotonin levels, decreases PS levels, causes diabetes and is a trigger for cancer, causes dental problems, dogs do not require sugar in their diet! ), dried whey, sodium caseinate, calcium carbonate, vegetable oil (from GMO sources, high in pesticides, endocrine disrupting, cancer causing, immune system suppressing),animal digest, potassium citrate, potassium chloride, fish oil, choline chloride, salt (stone enabling for some types of stones), ferrous sulfate, vitamin supplements (E, A, B-12, D-3), zinc oxide, riboflavin supplement, manganese sulfate, niacin, calcium pantothenate, biotin, copper sulfate, thiamine mononitrate, folic acid, pyridoxine hydrochloride, garlic oil, menadione sodium bisulfite complex (source of Vitamin K activity) toxic to kidneys, liver, mucous membranes, repeated or prolonged ingestion can produce damage to target organs, carcinogen and mutagen,calcium iodate, sodium selenite. 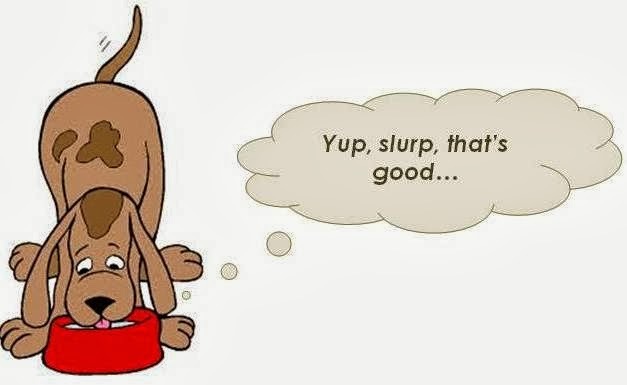 Struvite Stones – Dogs with struvite stones should maintain a high intake of protein, a low intake of carbohydrates, especially starchy carbohydrates and should have a high intake of moisture rich foods and fluids. Modern Medicine is designed to react to and treat acquired conditions, it is not designed to strategically enable and maintain overallhealth and well being. Try putting whole fresh or frozen thawed cranberries in a blender with a little orange juice to make a puree for your dog or cat – this can be mixed into some food. Caution – remember for Cysteine stones do not use cranberry, uselemon instead. 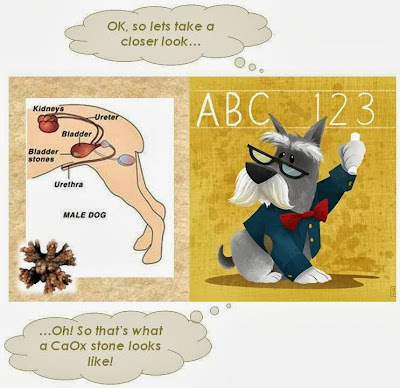 Research has proven dogs and cats that are prone to forming CaOx stones:Should not be on a diet that restricts calcium, phosphorous or protein;Should not be on a diet that is high in carbohydrates;Should be on a diet that is high in good quality protein, fat, calcium, phosphorus, magnesium, and moisture/liquid. Blackberries, blueberries, clementines, mandarins, oranges (no grapefruit) – preparation is important to ensure maximum absorption of nutrients – read about that here. Carrots, celery, potatoes – preparation is important to ensure maximum absorption of nutrients – read about that here. Go grain-free which is what I prefer and use squash rather than grains, or:Use bulgar, brown rice or oatmeal. Asparagus, broccoli and broccoli sprouts, Brussels sprouts, cabbage (and fresh sauerkraut), cauliflower, cucumber, lettuce – romaine, red leaf, green leaf, frizzy, radicchio; string beans (all colours), kelp, sweet bell peppers (all colours), zucchini – preparation is important to ensure maximum absorption of nutrients – read about that here. Basil, garlic, sage, spearmint, rosemary. Organ meats (i.e. liver) – in moderation. Go grain-free which is what I prefer and use squash rather than grains, or:Use wild rice. Banana, dairy, the following unrefined whole grains – buckwheat, bulgar, oats, wild rice; pumpkin seeds, mackerel, beans as listed further below. A homemade diet is the best choice as you can control the type and quality of ingredients. A good quality commercial raw dog or cat food diet comprised of quality ingredients and augmented with essential supplements is also a very good choice. The veterinarian should not have told you to take your Pom off of the cranberry…as if leaving them in his diet would cause harm. In-fact my ten dogs – none of whom have stones get finely minced cranberries everyday. As you noted lowering protein is not recommended but in some cases changing the source of the protein may be required. Lowering calcium intake is also not normally recommended – as doing so can create the condition for crystal formation. I am not sure if you read this article as well http://ottawavalleydogwhisperer.blogspot.ca/2013/09/bladder-kidney-stones-in-dogs-cats.html as it provides information on other stone types – please read it. It will help you understand where your veterinarian is making mistakes so you can avoid falling in to them. Theresa you are on the right track, read the other article and put the cranberry back in his diet, continue to feed based on my grain-free recipe as you were before. Also add additional fluids to his meals – as noted in section 8.1 of the article above. Thank you Karen for such quick response. I do add liquid to his food. I guess I will have to add more. One thing vet was telling me that being on high quality meat based diet my poms urine shouldn’t have high ph. Meat should make urine acidic. Other than saying that she can’t offer me any explanation as to why. He is back in cranberry supplements as of today, Hopefully the crystals will be gone soon. Thank you again! Pomeranians are one of the breeds noted- under several of the stone types covered in the article, as having a genetic pre-disposition to those types of stones indicated. In addition there can be many other contributing factors which can tax his renal system making it more difficult for his system to ‘clean-house’ efficiently. Toxic loading from other sources (over vaccination, chemical-based insect and pesticide preventatives, exposure to chemicals from shampoos, from chemical -based household cleaners, exposure to seed dust from GMO crop planting, minerals in the water, etc.